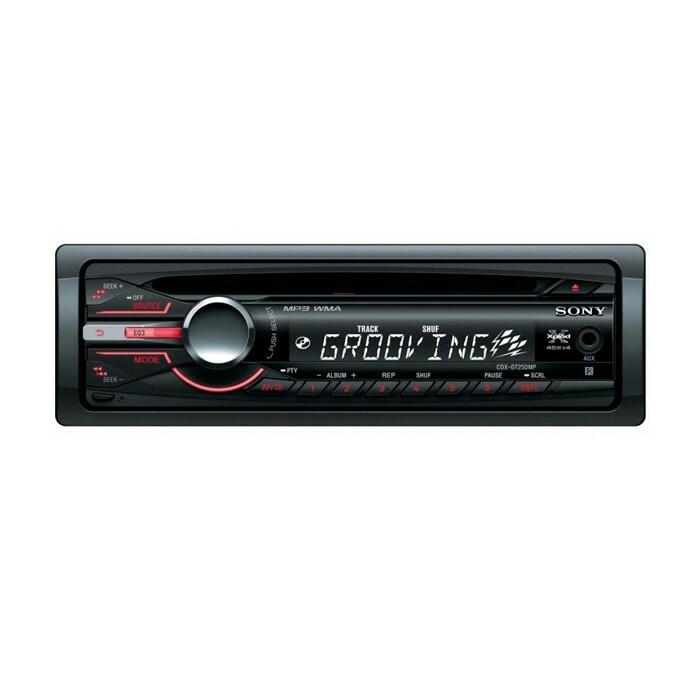 The Sony CDX-GT250MP head unit is an in-car music player with CD and MP3 playback. Its sleek looking faceplate features easy-to-use intuitive controls and key illumination for better visibility when driving at night. A front AUX input allows for the connection of portable music devices such as an iPod or MP3 player. Its 4x 45W output power delivers clear acoustics, for fantastic sound quality on the move. And if you want to further improve the sound quality of your system, the CDX-GT250MP features a 2V pre-out for the expansion of your sound system with amps, subwoofers and speakers. The Sony CDX-GT250MP lets you take control of your music when on the move, as it's steering wheel remote adapter ready.